One of Australia’s leading distributors of welding equipment, consumables and associated welding technology, SMENCO presents the BOA Series of bore repair systems for restoring worn bores on all types of equipment. 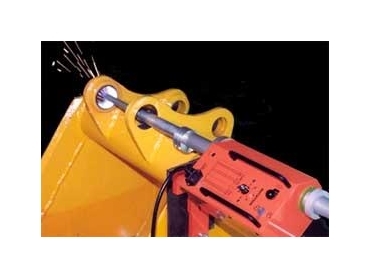 An industry favourite for repairs on all types of Caterpillar, Case, Komatsu, Deere, LeTorneau and various brands of earthmoving equipment, the BOA automatic bore repair systems are 70% quicker than hand welding and 50% faster than bore machining. SMENCO offers a complete range of bore repair systems including BOA-M1 and BOA-408 bore welding systems in addition to the EV-Series boring bar systems.